Our wearables are clever little devices and, from reading our heart rates and working out how far we've travelled, to pinpointing where we are on a map, they do thousands of calculations every second. But how they do it? What exactly goes on inside these mini marvels we wear on our person? 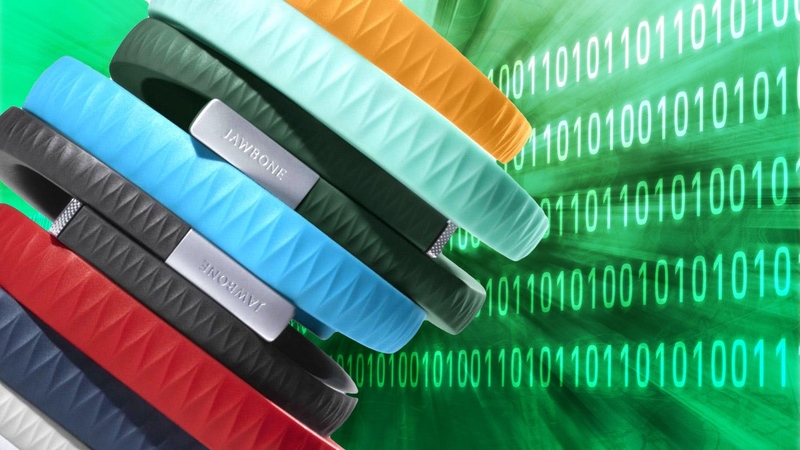 We've gone under the hood of the latest wearables to unearth their secrets. Pretty much every smartwatch and fitness tracker features an accelerometer. These measure orientation and acceleration force – in other words, they determine whether the device is horizontal or vertical, and whether it's moving. Typically they operate at 25Hz, which means they take a measure 25 times a second. Accelerometers come in analogue and digital varieties, with different sensitivities and a different number of axis. The basic ones have two axis, while more advanced have three, to measure their position in three dimensions. As well as your position, they can work with a heart rate monitor to determine when you're asleep and activate sleep tracking. If you're horizontal, not moving and your heart rate has slowed, it's fair to assume you've nodded off. These are the brains behind the majority activity tracking going on right now. Smartwatches equipped with GPS – like the Garmin Vivoactive and Sony SmartWatch 3 – talk to satellites to find your location. The satellites send out high-frequency, ultra-low power radio signals that travel at the speed of light (that's 186,282.4 miles per second). The satellites orbit the earth twice a day. When you activate the GPS receiver, it receives the signals and sees the time they were sent and what time they reached you. It then works out your location based on how long the signal took to arrive. Bear that in mind next time you're swearing at your GPS running watch for taking an age to lock on. Some devices only communicate with three satellites, giving you your latitude and longitude, but those that talk to four can give you your altitude as well. This is useful for not getting lost, but can also show you where you went, like with the cycle tracking mode on the Fitbit Surge. Virtual reality headsets like Oculus Rift have to constantly track your head movement in order to update what's on-screen. If it's too slow, it will create lag, which is the difference between your head moving and the on-screen action catching up. Not only will this leave you at a disadvantage in multiplayer games, it can also make you feel seasick, as what's on-screen moves when you don't. Using the onboard gyroscope, magnetometer and accelerometer, the Rift reads the position of your head 1,000 times a second, so even the slightest movement will register. That means no matter how frantic the action gets, or how quickly you recoil in horror, you'll always see what you should. Optical heart rate monitors – like that on the Fitbit Surge – measure your heart rate using light. They shine an LED through your skin and a sensor analyses the light that bounces back. Blood absorbs more light than tissue, so the fluctuations in light can be read as your heart rate. It's a process known as photoplethysmography, which is quite a mouthful. It's a quick and non-invasive way of checking up on your heart rate. And the wrist, one of the places where your pulse is strongest, is the perfect place to take a reading. Good job there are so many smartwatches and fitness bands around then. There is another way to measure your heart rate, however. The Jawbone UP3's bioimpedance sensor (supposedly) analyses the volume of blood flowing in your Ulnar and Radial arteries in the forearm. It does this using four electrodes embedded in the strap – two outer ones driver a tiny electrical current, while the two inner pick up changes in voltage. This is more accurate than shining a light through your skin: readings from optical sensors can be skewed by certain skin tones; plus the blood slows as it moves from the arteries through the capillaries, which can lead to an inaccurate reading. If you wonder why different smartwatches give wildly different heart rate readings, it's most probably because they measure it different ways. The chip emits a small electric current which creates a magnetic field with a diameter of about 20cm. This bridges the physical space between two devices, and lets them share information – in the case of Apple Pay, credit card details. The receiving device – in this case a card reader – turns the information back into electrical impulses in order to read the data. Like RFID, NFC works in the 13.56MHz radio frequency spectrum and uses less than 15mA of power. The limited range means you have to hold your smartwatch up to the card reader, but it's still far easier than taking out your wallet or phone. In virtual reality headsets, low latency is crucial. Indeed, Oculus VR built a latency tester into the Oculus Rift in order to constantly measure it, and ensure the playing experience is as realistic as possible. The built-in latency tester carries out real-time microsecond precision measurements of motion-to-photon latency. This brings all the benefits mentioned earlier – no lag, no seasick feeling, no being reminded that you're playing a game and aren't in the virtual world. It aims for a latency below 20ms, which is imperceptible to human eyes and ears. Which is why those jerky, wireframe graphics of The Lawnmower Man are a thing of the past.